Isha Ambani recently wed her beau, Anand Piramal (also a billionaire’s son), in a grand wedding, which was attended by dignitaries and leaders from around the world. Among the guests were former US Secretary of State, John Kerry, and Former US First Lady, Hillary Clinton, and the attendees were entertained by a special performance by none other than Beyonce. Isha Ambani is not just the Reliance heiress, she’s an Ivy-league graduate, the brains behind India’s fastest growing telecom network Jio, who sits among the boards of directors of Jio and Reliance Retail. Talking to Vogue, she revealed intimate details of her childhood, her father Mukesh Ambani, and Reliance, one of India’s top industries, which boasts of over $57 billion in annual revenue. Her candid interview, especially the talk of infertility, was highly applauded as it is still considered a taboo topic. Infertility is a mental and physical struggle for anyone who is diagnosed with it. The fact that Nita Ambani underwent IVF was not widely known until recently. This gives an idea on the emotional upheaval a person goes through during these procedures, and the amount of time it takes to come out to the open to talk about it. Many women are now coming forward to talk about their struggles and experts are stressing on how getting your fertility tested in time can help you get a better grip over the situation. The first time Nita disclosed about her pregnancy issues was seven years ago, in an interview with NDTV Good Times. She had received the news of her infertility when she was 23. “Even when I was in school, I would write long, copious essays titled, ‘When I’ll be a mother…’ Here I was at the age of 23 being told that I would never conceive. I was shattered,” she said. However, she went on take help from Dr. Firoz Parikh in Mumbai, and luckily conceived twins—Isha and Akash, both now 27. She also talked about the difficulties she faced during the pregnancy and the premature birth of the twins which put her in a situation of medical emergency. 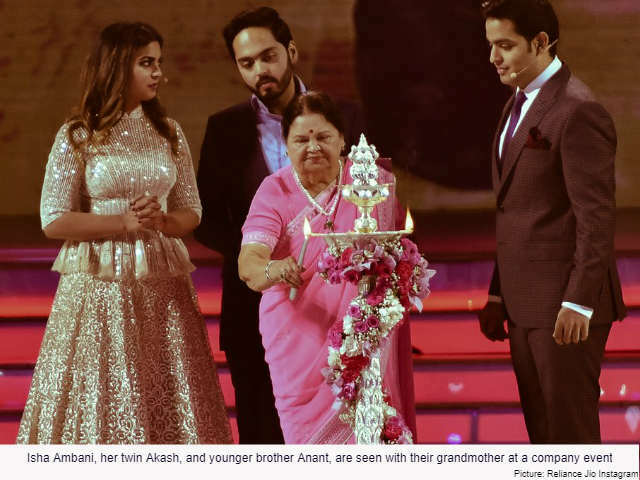 Three years after their birth, she conceived her youngest son Anant Ambani, naturally. Nita Ambani has often talked about her love for children, which probably started while she was a teacher at school. Today she is an active businesswoman, a socialite, a sports-team owner, and as we have often seen, a caring, loving mother to her three children. She also runs the Dhirubhai Ambani School in Mumbai, which she had founded back in 2003. Receiving news about infertility can be hard-hitting and difficult to cope with for anyone. 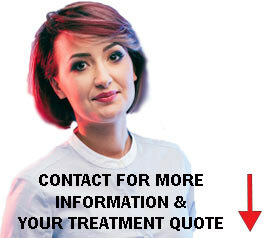 The best way to deal with it is to talk openly, educate yourself, understand your body and your fertility, and if required, seek medical guidance and perhaps employ a technique like egg freezing in good time. Celebrities have a stronger influence on people and at Infertility Aide we laud all the women of influence who are coming out and sharing the stories of their infertility struggles. Many women of prominence are speaking about the importance of being transparent in such situations. Recently singer Jessie J revealed about her infertility while performing on stage during a concert; she even dedicated a song to the condition. Infertility can be isolating; such acts from celebrities help provide sense of comfort to people all around the world seeing that they are not alone. The goal is to find acceptance in your own feelings and be motivated by receiving understanding from other couples who have been there. Isha Amabani, daughter of the richest man in Asia, is an IVF baby. The Reliance heiress recently opened up to Vogue Magazine about her parent's fertility problems and how they tried to conceive for eight years in vain. 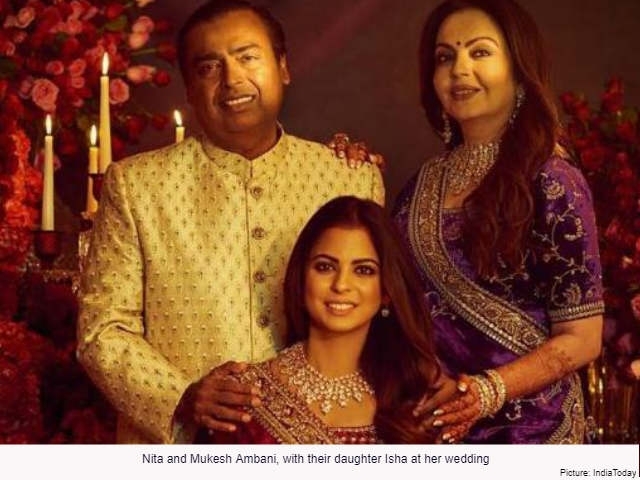 Read all about Nira and Mukesh Ambani's IVF story and how the richest people in Asia dealt with it.